The event, hosted by a State MP Lee Rhiannon just a week before the meeting of the World Trade Organisation in Sydney, has enraged Police Minister Michael Costa, who said using the House for the event was appalling. 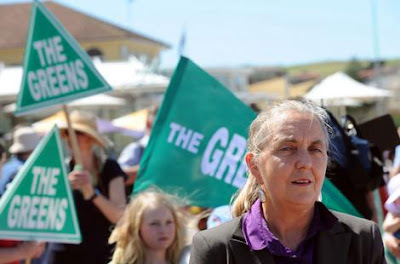 Upper House Greens MP Lee Rhiannon is hosting the forum for about 60 people in State Parliament's Jubilee Room on November 8. It is an absolute disgrace for the member [Michael Costa] standing in the way of peaceful meetings at Parliament House Sydney. Banning from Parliament any community members because the police tell lies is abhorrent I have evidence of some of the strategies used by the force to trip you over while demonstrating peacefully. In fact I would be there on 8 November, if Clover Moore MP would stay home because police told her lies about me and she banned me from parliament for 3 years? Ask Michael Costa to tell us about the bikies the police use when push comes to shove? A Spokesperson for Justice Action Gregory Kable said, " It will increase powers to detain and interrogate suspects, chase people around with helicopters and invite police into your home after they break down the doors and windows. They will then go on to steal your property and line you up for an indictment, of some sort based on fiction."